W.F. Hann & Sons is widely recognized as a leader in remarkable residential and commercial AC repair work, AC installation and AC service across Northeast Ohio and the Greater Cleveland Metropolitan Area. Business owners and homeowners have been coming to W.F. Hann & Sons since 1907 for all their AC service needs. We are celebrated for providing exceptional proficiency and productivity for our customers. This is the reason our clients understand that W.F. Hann & Sons will make sure their AC installation is performing as it should. Furthermore, our company understands the risks of having an antiquated air conditioning system, and we know that it can result in unnecessary expense. As a result, we are dedicated to delivering the most reliable solutions for AC repair services to our clientele at an affordable price. Customers will be pleased to note how much better and economically their systems work when our AC repair professionals install a new air conditioning system. As a result, when Moreland Hills clients are searching for new and improved AC installation or AC service work, W.F. Hann & Sons is the only name they need to know. The Village of Moreland Hills, Ohio is an affluent suburb of the Greater Cleveland Area in Cuyahoga County with only a little more than 3,000 residents. W.F. Hann & Sons, at 26401 Miles Road in Warrensville Heights, is five and a half miles southwest of Moreland Hills. Moreland Hills residents understand that the W.F. Hann & Sons’ NATE (North American Technician Excellence) certified technicians will ensure they receive the best AC installation and AC service available. Moreland Hills clients reach out to our AC service technicians to handle their AC repair and AC installation needs when there is AC service work that needs to be done. Not only will W.F. Hann & Sons meet the expectations of their Moreland Hills customers, but they will consistently most often exceed them. W.F. Hann & Sons has a reputation for treating customers fairly and honestly. In the areas of AC repair work, AC installation and AC service needs, our technicians are fully licensed, insured and highly-skilled professionals. 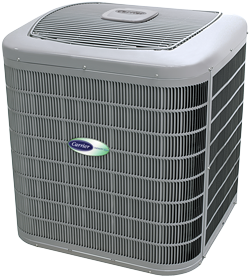 We are acknowledged always place the AC service needs of our clientele first and foremost. You can count on us to work within your schedule, and we will always protect your residence and office by wearing foot coverings, using drop cloths, disposing of any leftover waste and removing all equipment from the premises. W.F. Hann & Sons only delivers the best, most professional AC installation, AC repair and AC service maintenance in the business. To schedule an appointment for the best in AC comfort and dependability, call W.F. Hann & Sons at: (216) 831-4200, today! For those unexpected emergencies that come at the most inopportune times, you will be pleased to know that we are available 24/7.